Home » Common Questions » When should treatment start? 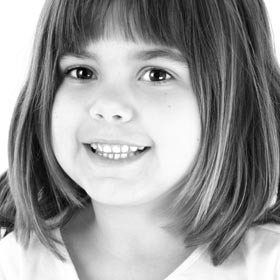 We usually recommend that children should have an orthodontic opinion between the ages of 7 and 9 years. This is because it is at this time that we are able to detect many developing problems. If this is the case, then we can intervene with treatment that is necessary before the eruption of all the permanent teeth. This helps to avoid potential problems or helps to steer clear of more complex prolonged treatment in the future. Also any early orthodontic intervention helps to simplify treatment later on. However, it is important to note that our treatment and advice is not limited to children alone. We do also see and treat adults. In the case of adults, treatment will start as soon as we have created a Customised Treatment Plan. Having a consultation with our Specialist Orthodontist does not necessarily mean that we will intervene with actual treatment at this stage. We simply look to see if all is progressing as it should do or whether your child can benefit from early intervention. Most children usually start their orthodontic treatment either when all the deciduous (baby) teeth have been shed. This is typically around the time a child is 12 years old. All our treatments start with an Orthodontic Consultation appointment to discuss your needs and to provide a specialist opinion. At Elite Orthodontics, the majority of our patients are referred to Dr Sarah Good and Dr Pourghadiri by their general dental practitioners. However, we have many patients who are referred by the family and friends of other patients whom we have treated in the past and who then contact us directly. We are also flattered to have treated the children of many of the dentists who refer to us, or indeed the dentists themselves! If you have any orthodontic concerns you can request your regular dentist for a referral to us for an opinion and/or an orthodontic assessment. Alternatively, you may wish to contact us directly for a consultation if you are concerned that you or your child has or is developing orthodontic problems. Next: Can Adults have Braces?